For a long time, I stuck to my trail running shoes as my main form of hiking shoe. I laced up my Salomon trail running shoes instead of a typical hiking boot because I wanted something versatile, comfortable and light. When I was first on the hunt for a hiking shoe, I wanted something I could use for trail running but still wear for longer hikes. I would glance at your traditional hiking boot but I always ended up buying more of a sneaker type shoe. All I could picture was the scene in Cheryl Strayed's "Wild" where the Timberland looking clunky heavy hiking boot leaves her feet blistered and raw (before throwing one off a cliff). I was turned off by their steep prices, clunky shape and heavy weight. I would look at a pair of hiking boots and immediately state "that cannot be comfortable..." and generally, they weren't. My use of trail running shoes on the trails worked for a while, especially on the drier climate of Utah's trails (packed dirt, not too much rock unless you are unlucky enough to spend hikes scrambling over boulders). However, after moving back East, my routine switched. 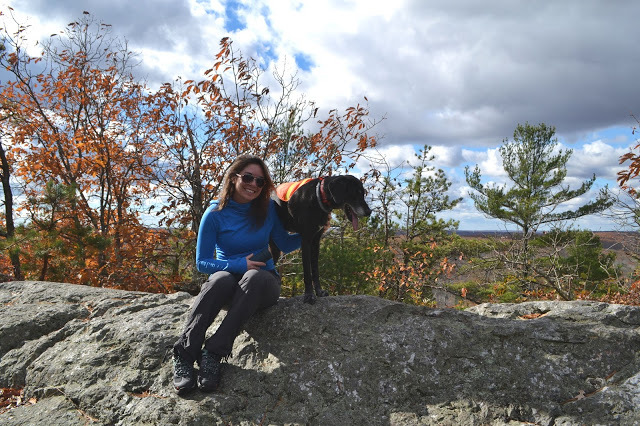 Hikes through New England's much rockier and root filled glacial terrain proved that I needed a real hiking boot with ankle support and a sturdier sole. This really came to light after hiking Mount Washington in my Salomon trail runners instead of a REAL hiking shoe because I did not want to haul a pair of clunkers up 4,000'. Note: This hike is a strenuous one and Mt Washington is known as the world's most dangerous small mountain (read boots are important). My feet were swollen and in pain from crossing over sharp edges of rocks along Tuckerman Ravine's unforgiving trail, scrambling across sharp rock edges and the climbs and drops of the hike in a flexible running shoe. I decided enough was enough and it was time to convert. Turns out, hiking boots have come a long way from those traditional leather high tops. After researching, I learned I really needed a shoe with a steel shank to protect my feet when crossing over the sharp edges of rocks. I didn't know much about shoe shanks until I read about them from Pacific Mountain. "The steel shank is a supportive part of the shoe that is made of a flat piece of metal located above the outer sole located between the heel and ball area of the foot just below the arch. Shank protection is crucial to the functionality of hiking and backpacking boots as they diminish the load incurred by the person's feet and calves over the course of their journey. Along with protection from rock bruising, and any potential bottom punctures". 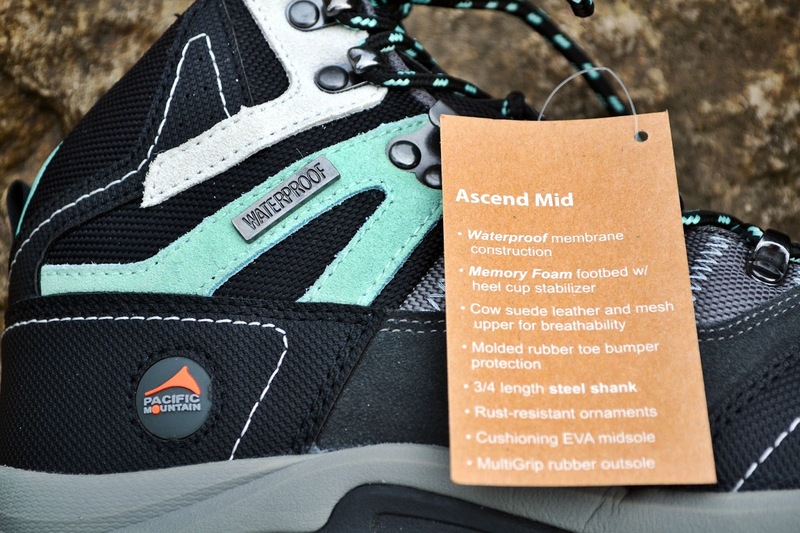 I also needed a higher shoe with ankle protection, a toe cap for when you accidentally kick a rock as I do often, waterproofing for wet conditions, something not too heavy and clunky, and preferably one that had a feminine, not so militarized touch to it, more hiking shoe, less work boot. And of course, I wanted a company with great customer service and a boot that wouldn't break the bank. After doing my research I found what I was looking for in Pacific Mountain. 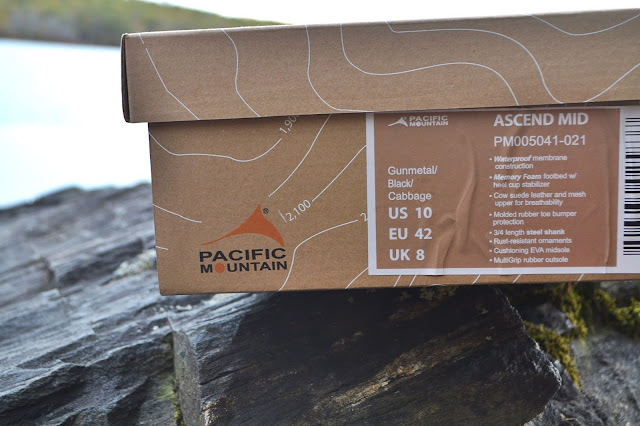 Pacific Mountain's awesome website, detailed product information and customer service attracted me to their company and hiking boots. With free shipping and returns, a 100 % satisfaction guarantee and 1 year warranty, I knew this was a company who stood behind their product and cared about their customers. 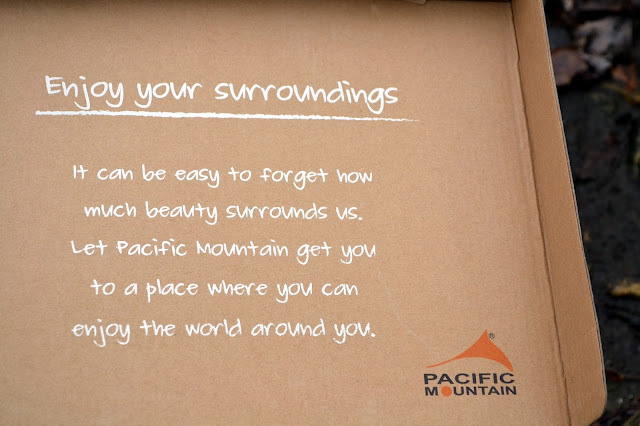 Before I reached out to Pacific Mountain, I wanted to know a little bit about the company. "Pacific Mountain's story started in Los Angeles, California on September 2014. The company was founded to fill a gap that needed to be filled: develop comfortable and durable shoes for all outdoor activities. 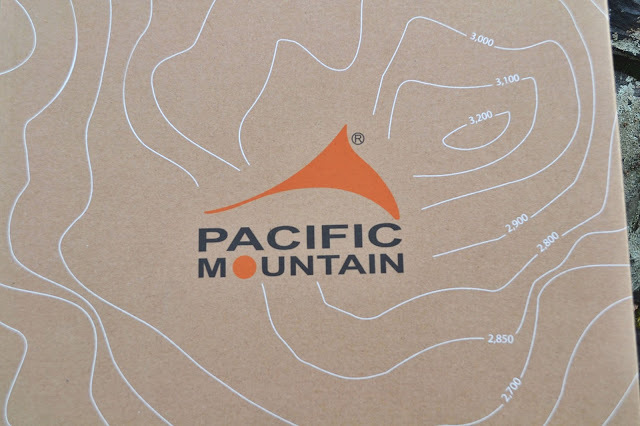 All footwear and apparel sold by Pacific Mountain is designed by our in-house Design Team based in California, USA" More about Pacific Mountain. What really grabbed me was the comfortable. How often do we grab the latest and greatest in the technical gear realm but it just isn't comfortable (read every ski boot designed before 2015). Hiking boots aren't a one size fits all solution, and there are different styles and types of hiking boots offered on their site. 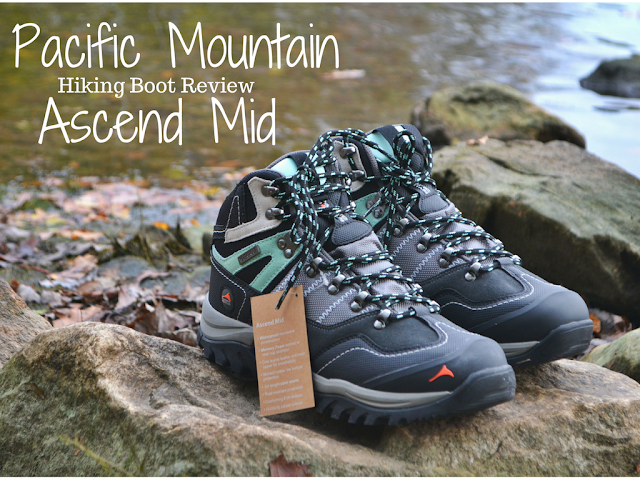 After talking to an employee at Pacific Mountain, we both agreed the Ascend Mid were the best boots for my needs and level of hiking (Mostly day hikes but on the longer realm and over varied rocky terrain). Not only did Pacific Mountain guide me through the shoe selection process, but after introducing myself as a Blogger who wanted to try and feature their product, I was even able to meet with one of their designers to pick up my shoes in person and learn more about the shoe and the company. This was such a great touch and one of the reasons why I love working with smaller companies vs your big retailers. I was a comfort skeptic and excited to see if these boots would change my attitude on hiking footwear. Pacific Mountain offered me a pair of boots in return for my honest opinion on what I thought on these boots. They are a group of hikers and outdoor enthusiasts who want to be known as the best outdoor footwear company - where wearing comfortable outdoor shoes means wearing Pacific Mountain. Meeting in a coffee shop, we talked about the support in the shoe, the memory foam footbed, and how comfortable the shoe was. I was immediately impressed by the packaging of the book with the Pacific Mountain logo and loved the topographic map on the outside and message on the inside flap. This model came in red or turquoise and provided sizes 6 through 10 (including half sizes). I typically wear a size 10 shoe, but sometimes have to go up to a 10 1/2 in certain running shoes. At first I was disappointed that the shoes only go up to a size 10 and was a little nervous ordering the 10. As someone who wears between a 10 and a 10 1/2 I was pleasantly surprised when they fit perfectly. Finally, a shoe true to size. 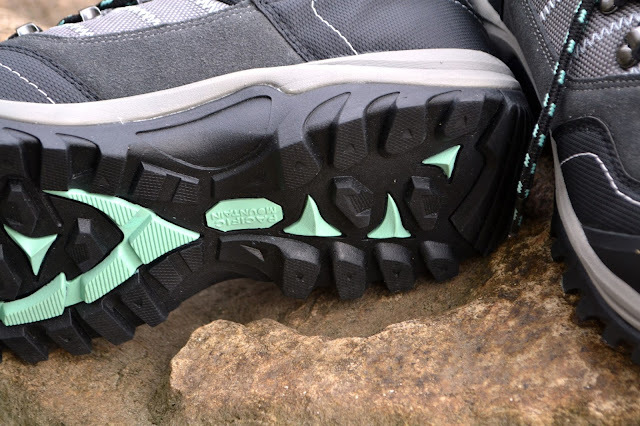 I loved that the turquoise gave these shoes a more feminine touch than some of the other models of hiking boots on the market. While they had the appearance of being a "clunkier" shoe, I was amazed by the lightweight of the shoe, and the cushiony memory foam interior. I don't want to oversell this or make it seem like I am overcompensating but I mean it when I say these shoes had the cushion and warmth while providing a protective durable hiking shoe. Memory foam footbed with a heel cup stabilizer (think of a heel pocket or frame that works to help keep your foot stabilized and in place). Has a 3/4 length steel shank (but not a full shank) which helps avoid injuries by preventing objects from penetrating the shoe from underneath, while adding support and stability. Price! At just $99.90 this is a very affordable hiking shoe. These boots keep my feet really warm in the winter. This might be a ventilation issue in the summer hiking on hotter days. Investing in a good pair of hiking socks is key and should help with this. Sizing- This is probably unique to people with huge feet like me, but their biggest size is a 10. I generally wear a 10 to a 10 1/2 and I am thankful the 10 fit so I didn't have to shop in the mens sizes. I needed a solid shoe for hiking and backpacking and this was a perfect match. The Ascend offers superior cushioning thanks to its memory foam footbed and the EVA midsole while being comfortable and light. These shoes offered all the support I needed without feeling like I was wearing a clunky boot. The boot also had a great sole with excellent grip on some of my hikes across slippery rock faces. In these boots I can confidently hike across slippery rock terrain, sharp edges, and through snow and water. 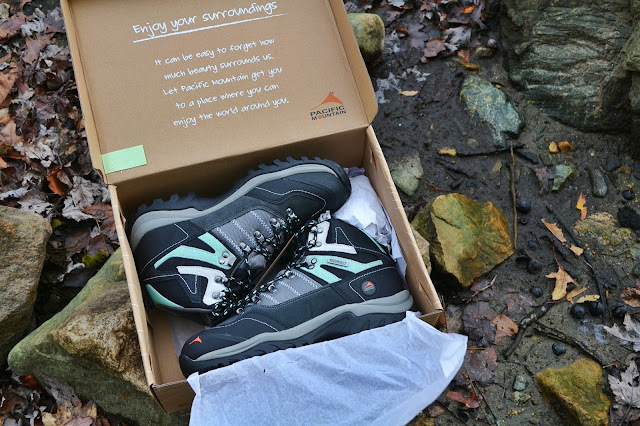 I have hiked over 20 miles in these boots so far, ranging from longer technical hikes with a lot of incline like the Seven Sisters in Holyoke, Massachusetts and lighter easier hikes like Lantern Hill in Connecticut. While the technical aspects of this shoe makes it a great pick, the comfort of this shoe is really what makes it a Katie Wanders pick. 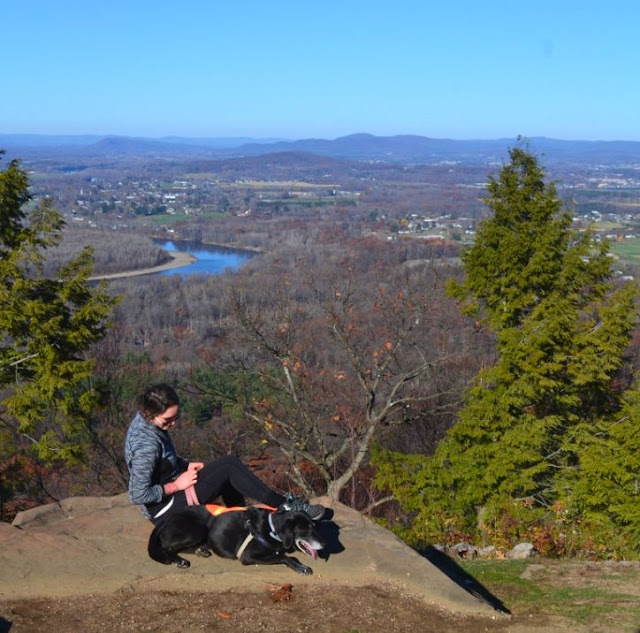 (Comfort is just about everything to me, especially on longer hikes). Couple that with the very reasonable price and excellent customer service, I am proud to show off these boots on the trails. Thank You, Pacific Mountain for providing me with a great pair of boots and opening my eyes to the world of (comfortable) hiking boots. Grab a pair HERE and Happy Hiking! Disclaimer: These boots were provided to me by Pacific Mountain at no cost in exchange for my honest opinion of these boots. I was not compensated for this post and all opinions are my own. These are the most comfortable pair of hiking boots I have ever owned and just about the only quality pair I have seen under $100. I proudly own and love these boots and can't say enough good things about the people I met and spoke with at Pacific Mountain. If an equipment provider is willing to let you have free gear in return for reviews, it must mean that they think your blog has value. Congratulations, Katie. About the boots, I'm pretty sure you will find them too warm or too moist inside in warm weather. Membrane-sealed "waterproof" boots are like that. I think the best use of your new boots would be in cool-cold weather, but not in mud or in snow deeper than an inch or so. The waterproof feature will keep the mud and snow from penetrating through the boot, but mud in particular will chew away at the fibers of the boot as you walk. I think you'll probably get good use out of them, though. They look great. Thanks for the details Joe! Yes I know they will definitely only be waterproof to a point and better for colder weather hiking. I am just so happy how comfortable they are which was my biggest issue. The right boot for you depends on two main factors: The position you play in The surface you play on The position you play If you are a winger or forward, you should go for a lightweight boot. While you should go for a lightweight boot, you should avoid going for one that is too light as it will greatly reduce your shooting power. As a midfielder you are a versatile player; therefore, you need a versatile boot.I find this website for Best Lightweight Work Boots.If you want you can visit this site. Reviews are a great way to find out more about a product from people who have used it... I agree! So glad you also love these boots! I agree great value, great price and great shoe! Great idea about the spray to help with the waterproofing! They are a great boot I hope you enjoy them! Have had a couple pair of Merrells for the past five years or so. Before two years like clockwork, the sole of both pairs would separate from the rest of the shoe. Was searching for a new brand. This and a few other review sites helped me determine to give Pac Mount a try. This was the most detailed site by far. Thanks. Sorry to hear about your Merrells! Glad you decided to give Pacific Mountain a try! 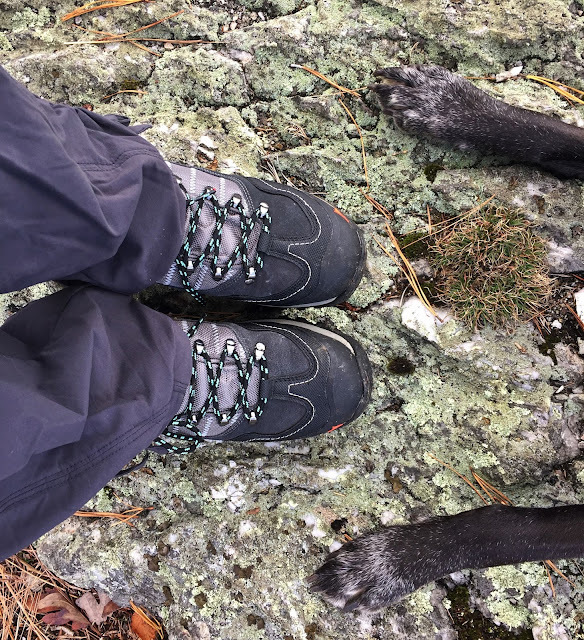 I have taken these boots on small short hikes and on longer rugged hikes like my recent hike up Mount Katahdin. I love these boots more and more each hike! All the support I need while still being really light (never ever had a blister!). I understand that you can't get every single boot made to review but you left out what I believe is the most well made, comfortable, protective toe work boot around. I really appreciate your idea to choose the best one.